The PCL's of my 300 MC are beginning to show some wear. I love the look of the PCLs but find myself opting for the FOIS with its brushed bracelet due to the wear that's showing. 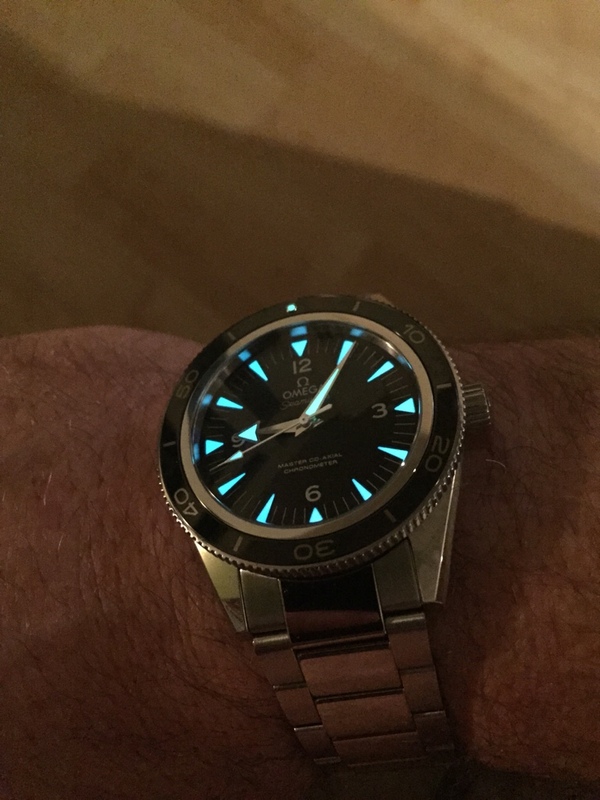 I'm torn between getting the Dremel out with some polishing compound or shipping the bracelet up to my dealer for "satinizing" as he did for Stephen (watchsk). The latter would perhaps be the easy way out. 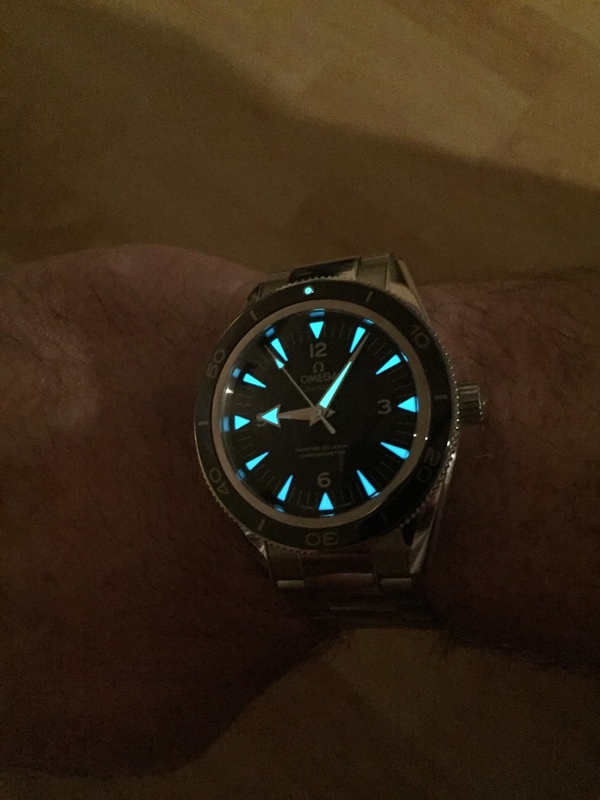 On the other hand, I may take it to my local watchmaker and let him polish the PCLs. Shouldn't cost too much. Maybe I'll give him a call. I just have the impression that the clasp is extremely prone to scratching, much more so than on any other bracelet I've ever had. 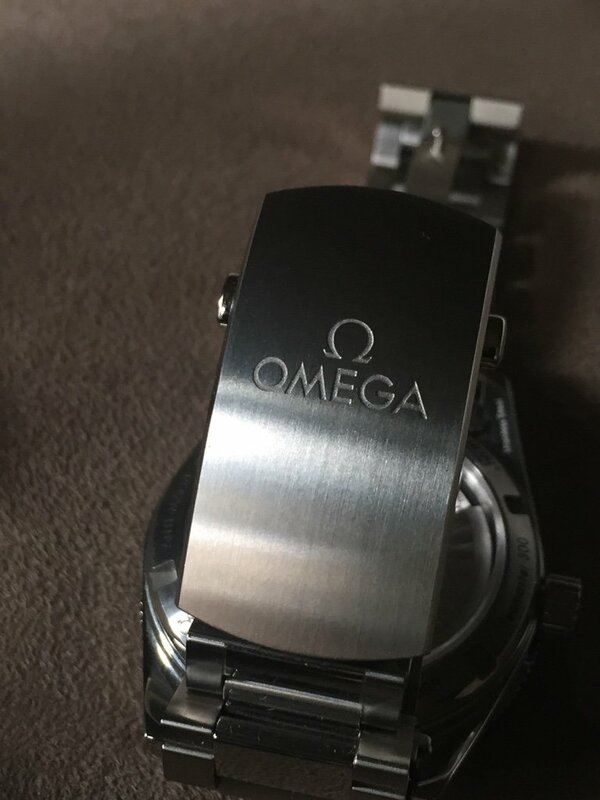 I find the clasp no more prone to scratching that other Omega clasps. A couple of swipes of 15 grit will quickly restore the finish of the clasp. Agreed. I haven't had any issues with the clasp on my 300 at all. I'd just like to be able to remove the bracelet on my own. I think part of the problem is I'm too tentative with it because I don't want to hurt it. Was going to try the strap from my PO and see if it would work on the 300. Will have to wait until I can get to the OB. Hey buddy, just try a few times an you will get the hang of it! Practice makes perfect. No doubt the first try will be nerve racking! [QUOTE=om3ga_fan;17938514]Agreed. I haven't had any issues with the clasp on my 300 at all. Lol. Not a bad idea! No protection of any kind thus far. Have been careful/lucky. Tho now I've probably jinxed myself! When I'm flying a keyboard I usually take it off and rest it on a Seamaster polishing cloth. julywest, jokr82, Horoticus and 2 others like this. I'm in the same boat for my AT with PCLs. I quite like the look but they do scratch way too much. Where as the brushed AT bracelet still looks new. Having same exact debate brush them or polish them. 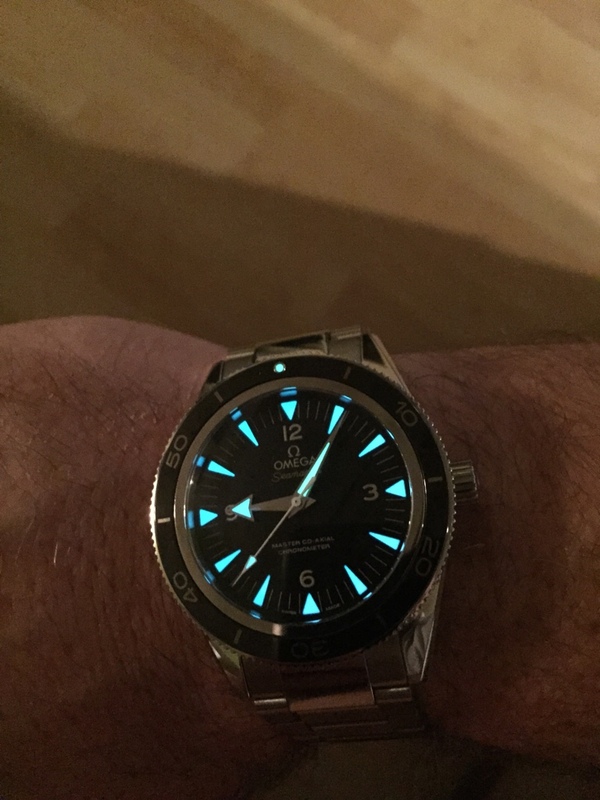 Despite all these little issues I still quite like the bracelet and find it so much more balanced and versatile than the leather strap I have for it. The leather looks good but at the moment the practicality of the bracelet wins. I purchased my strap from Bas and Lokes which have a large range of hand made leather straps available in 21mm. Bit pricey but very comfortable. I am thinking about getting a couple more from them.